17 195-9648 - Strain Relief. 12A 341746 - Convenience Receptacle. 5 350648 - Yellow Wire Connector. 12B 321495 - 230 Volt Convenience Outlet. 22A 326275 - 16 Inch Cover Assembly. 22B 329762 - 14 Inch Cover Assembly. ADAPTER-2 371742 - Wet Pan W/filter Support. ADAPTER-3 377791 - Filter Support Cup. 378461 - Complete Dry Filter Assy. 371580 - Cloth Filter W/ Gasket . 371696 - Filter Frame Assy. 10 195-9348 - Sealing Gasket. 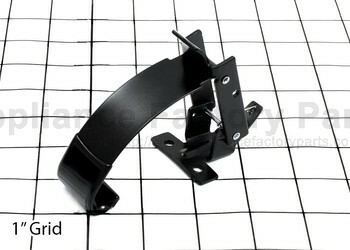 15G-11 376949 - Handle Bracket. 15G-16 376906 - Chrome Push Handle. 20G-2 315524 - Chrome Push Handle. 20G-5 374733 - M5 X 12 Mm Screw (3). 20G-3 303909 - Steel Washer. 20G-6 374059 - Spring Washer. 20G-10 360848 - /4-20 X 11/2 Rd Screws. 7 364037 - #12 Int. Tooth Lockwasher. 15 337315 - #10-24 X 3/4 Screw. 11 341649 - Screw Protector. 15G-14 319260 - Gate Valve. 20G-14 314064 - Guard For Gate Valve. 20G-16 318442 - Gate Valve W/hose Connector. 1 329894 - 14 Inch Motor Head Assembly. 1 195-9654 - 16 Inch Motor Head Assembly. 3 364940 - Top Motor Gasket. 15G-17 319198 - Tool Caddy. 21 398985 - Orange Wire Nut. 15G-1 375640 - Poly Tank Assembly. 15G-18 385182 - Speed Pin & Ring Assy. 20G-1 326305 - Poly Tank Assembly. 20G-19 354201 - Tool Caddy (optional). 377295 - Wet Pickup Adapter Assy. ADAPTER-5 338133 - Float Ball. ADAPTER-7 195-9273 - Plastic Float Cage. 20 365483 - Purse Lock. 8 307440 - Grounding Wire. 20G-9 319317 - Hub Cap. 8G-1 372560 - Poly Tank W/o Casters. 15G-9 295-1344 - 8 Wheel W/hub. ADAPTER-4 WPL33-8567 - 33-9617. Please email For Price. 1 WPL314595 - Carton Blank 06-2 06-2. Please email For Price. 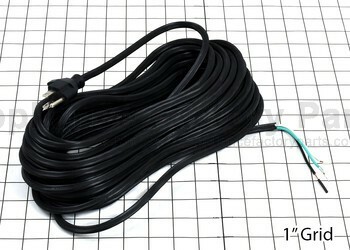 15G-6 WPL307408 - Wire Harness. Please email For Price.